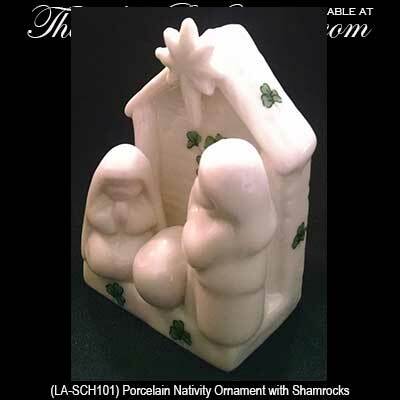 This Irish Christmas ornament features the Holy Family. 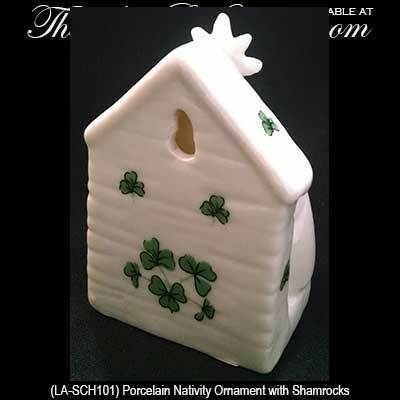 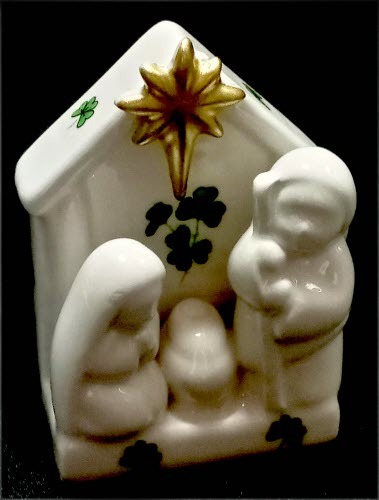 This Irish Nativity is a white porcelain Christmas ornament that features shamrocks on all sides of its dimensional design. 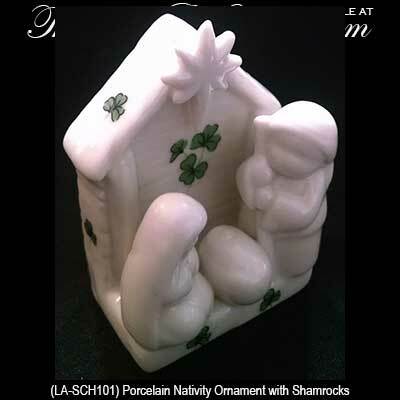 The shamrock Nativity ornament measures 2" wide x 2 3/4" tall x 1 1/4" deep and it is made in Ireland by Liffey Artefacts.